Description Theatre No. 2 was used during inclement weather for awards presentations. In this particular ceremony, fourteen men received awards. Subject Award presentations -- Missouri -- O'Reilly General Army Hospital. 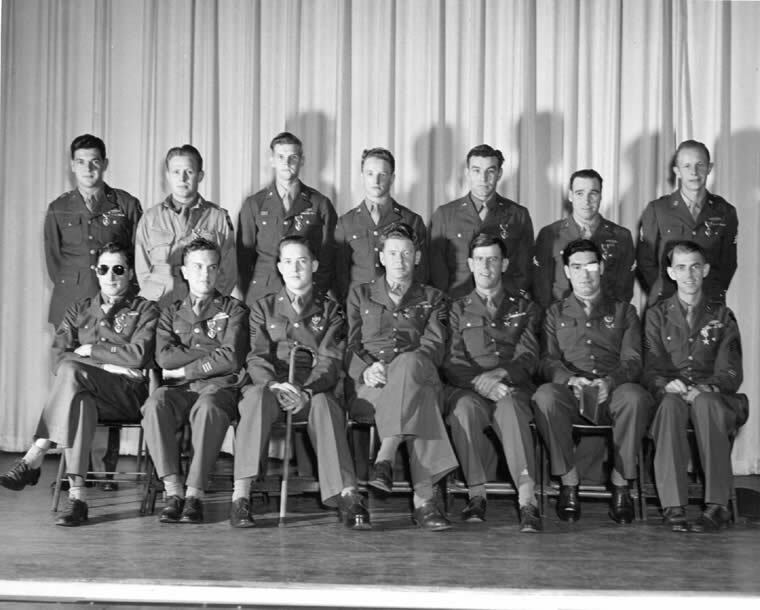 ;Military awards -- 1940-1950.;Military ceremonies, honors, and salutes -- United States -- Photographs. ;Military hospitals -- Missouri -- Springfield. ;O'Reilly General Army Hospital (Sprin;World War, 1939-1945 -- Photography.